Article written by Mike Timmesch from Skyline Exhibits Inc. It would be very easy to think that by designing and building a beautiful trade show display that many, many visitors will willingly come into your booth space. For many years, that had been the case. But today, trade show attendees have become more skeptical and reluctant to leave the aisle and enter into booth spaces. The problem is not that visitors are reluctant to attend an event – trade show attendance is actually increasing. The problem is that buyers at shows have become more skeptical because they have gained control of the buying process, thanks to the wealth of information available about products and companies on the Internet. 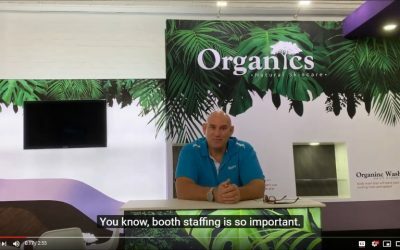 Have you got a good strategy to get the right people to your trade show booth? Please share your comments and stories below.